Amir Bux Ronjho Chang Sindhi Saaz Artist. He was most popular Singer of Chang Instrument in Sindh. He played Chang Instrument Saaz with new style. Amir Bux Ronjho was great Chang Player of Sindh and create good name in Sindh Music. He played Chang Sindhi Saaz with Classical Music and Folk Music in local Mehfils, Mela and other ceremonies. He was very famous Chang Master of Radio Pakistan Hyderabad and Pakistan Television. Chang is wind percussion instrument, mainly used in Rajasthan and Sindh. It is very popular for the people of rural areas and also it is Carnatic Music of Sindh, Pakistan and South India specially in Rajhastan India. I have selected most popular songs in Chang Instrument of Amir Bux Ronjho. 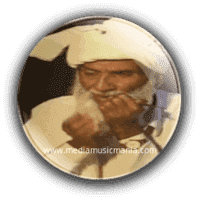 Chang called in English Jaw Harp and very popular as Sindhi Saaz. It consists of a metal ring in the shape of a horseshoe with two parallel forks which form the frame, and a metal tongue in the middle, between the forks, fixed to the ring at one end and free to vibrate at the other. The metal tongue is bent at the free end in a plane perpendicular to the circular ring so that it can be struck and is made to vibrate. I have selected following Music in Chang Saaz.